Nakom, directed by Kelly Daniela Norris and T.W. Pittman and written by Isaac Adakudugu and T.W. Pittman, is the story of a young medical student “Iddrisu Awinzor” (Jacob Ayanaba) and his struggle to choose between a better future or immediately help his desolate family. 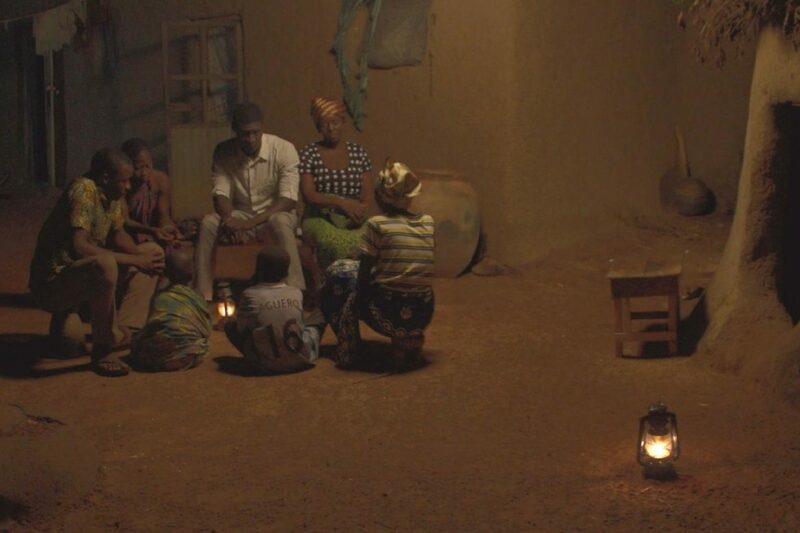 While attending medical school in Ghana, Iddrisu learns that his father has died in a motorcycle accident, and begins packing his bags to head to his home, Nakom. Luckily his school has offered to hold his scholarship and his place until he is ready to return. His girlfriend, however, will not. When he arrives home, Iddrisu is faced with every challenge you can imagine. 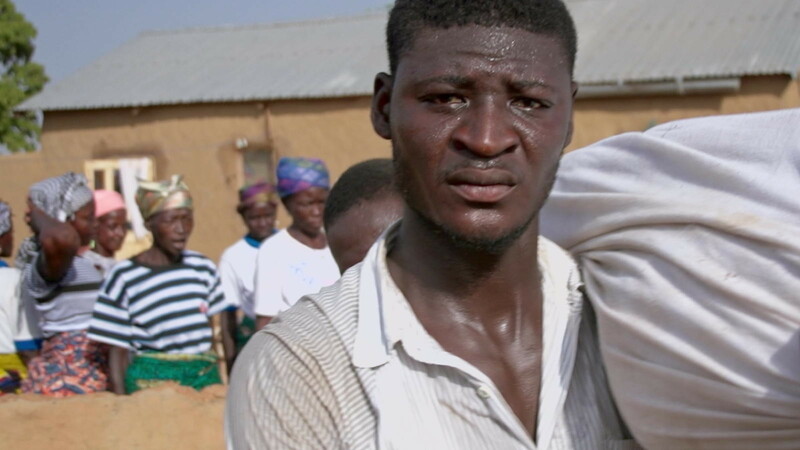 His father’s body is in a hut with chickens, his uncle “Napolean” (Thomas Kulidu) will not attend the funeral, the land is too dry to farm, there is barely enough food, his younger brothers refuse to attend school...the list goes on and on. All that being said, Iddrisu still manages to stay positive. With intuition he has a knack for when to plant crops in the rainy season, and soon his land is overflowing with produce. His cellphone helps him look up competitive prices for vegetables in nearby towns, and then travel to whichever town will fetch the highest price, and soon he is making a decent amount of money for him and his family, nearly enough to settle their debts. There are several issues with the film, but the main problem is in the performances. They are inconsistent, and not emotionally supported, which makes the film difficult to follow. Directors Kelly Daniela Norris and T.W. Pittman made a bold move in casting non-professional actors, but the film suffers. Jacob Ayanaba is awkward and stiff throughout, and as his character carries the film, it’s not easy to watch an hour and a half of his underplayed reactions and expositional dialogue. The only somewhat likable character is Iddrisu’s hometown sweetheart "Comfort" (Felicia Atampuri), but she has few scenes in the film and doesn’t talk much. Nakom is a story of a man torn between two worlds. The old world is that of his family, hard labor and, leadership. The new world involves education, difficult studies, and years of training. Nakom had the potential to be a poignant story about poverty and class divides, but, unfortunately, the story is too heavy a weight for a cast of green actors to bear. This one misses it’s mark. Featured Photograph: Iddrisu with his family at dinner time. Second Photograph: A tender moment in the field. Third Photograph: Iddrisu in Nakom. Fourth Photograph: Iddrisu at his father’s funeral.